Restricted free agent defenseman P.K. Subban has been making the most of his time as he negotiates his contract with the Montreal Canadiens. In addition to training hard, Subban has been donating his time to supporting charity programs he cares about. On Saturday, January 26th, P.K. attended the third annual ‘White Out for Mandi’, a Yale vs. Colgate women’s ice hockey game at Ingall’s Rink to raise funds for the Mandi Schwartz Foundation. Mandi Schwartz was a Yale Bulldogs center who passed away in April of 2011 at the age of 23 after bravely battling cancer for more than two years. The Mandi Schwartz Foundation raises funds and awareness to highlight the need for bone marrow and umbilical cord blood donors. Mandi, sister of St. Louis Blues forward Jaden Schwartz, underwent a stem cell transplant from two anonymous umbilical cord blood donations during her fight. Subban originally wanted to attend the game to watch Yale goaltender, Jamie Leonoff, in action, as the Leonoffs are family friends, but when he heard about the event and the story behind it, P.K. offered to contribute his time to raising funds for the foundation. The game was free to attend, but donations were accepted at the door. A charity auction was held at the event, and many rival university teams made donations to the cause. P.K. Subban signed autographs for fans in exchange for donations. Fans wore white to show their support. "We had a great turnout," said Assistant Coach Jessica Koizumi, "851 fans and many donors pledged per fan in attendance. We pre-sold many Whiteout t-shirts, as well as held a fantastic silent auction during the game. 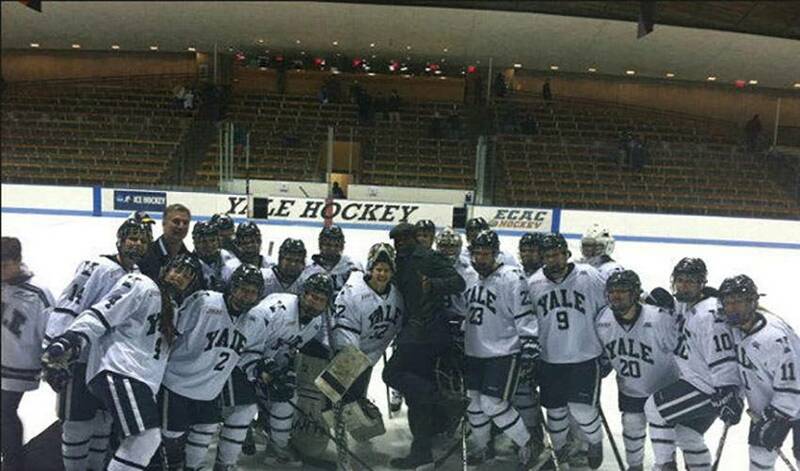 The Yale Youth Girls' Hockey Team sold $900 worth of cupcakes at the game too. We are still tallying the numbers, but it's looking like the event was a great success!" You can watch the full game, including a special pregame presentation by Mandi’s parents, Carol and Rick Schwartz, who presented the ECAC Hockey’s Mandi Schwartz Award to former Yale captain, Mandi Schwartz Foundation creator, and friend of Mandi’s, Aleca Hughes. The full St. Louis Blues team has arranged a trip to Connecticut to attend a women’s charity hockey game at Yale University benefiting the Mandi Schwartz Foundation, created in the memory of Jaden Schwartz’ late sister.